The Pilgrim Redwood A style mandolin is the entry level Pilgrim Mandolin and is a high quality instrument that is perfect as a solo instrument for a beginner or an advanced player looking to expand their arsenal. The A Style Mandolin features a Solid Spruce top, a Rosewood fingerboard and a stunning fitted Ebony bridge and includes a fitted pickup with onboard volume and tone controls. 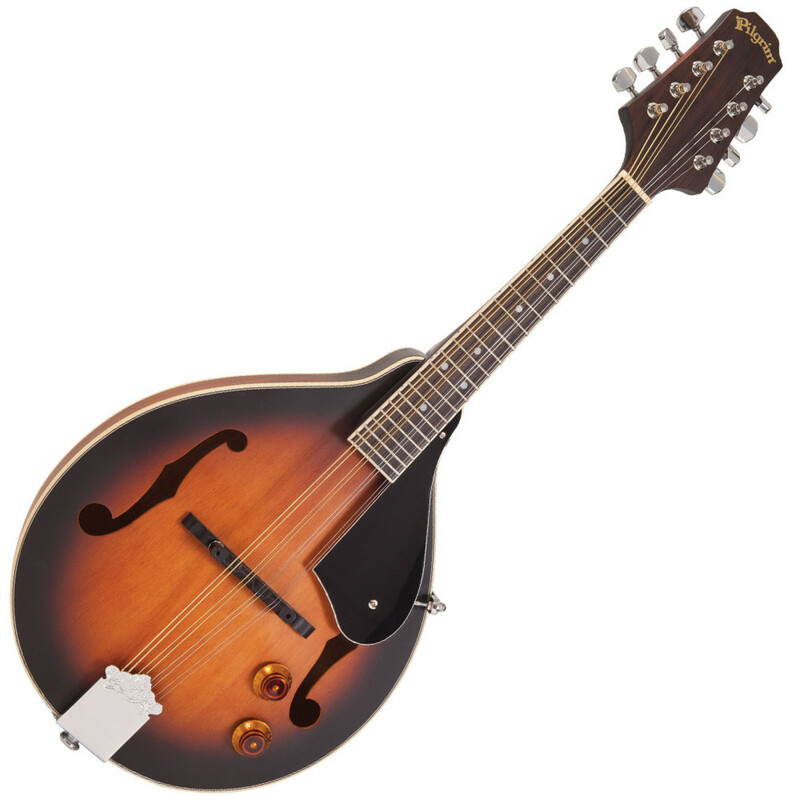 The A Style Pilgrim Redwood Mandolin has all the drive and projection that is expected of a top range bluegrass mandolin, and the semi-matt Antique Violin Burst finish and classic looks makes this modern instrument have a more classic and old school look.